Family Dine Out at Corner Bakery had a great showing of Gator families. Thank you to all who came out to dine on great food and support Gates and special thanks to Bernice Torres and Elizabeth Rose for planning this dine out. Kids Run the OC (KROC) Practices were held on February 4, 11, 18 and 25. Remaining practices are on March 3, 17, 24 and April 7, 14 and 28. This program was made possible for our children by all of the volunteers listed below. Jog-A-Thon Final Donation Collection – March 4 – Let’s rally to get the rest of our donations in this Friday. Buy One Get One Free Book Fair – Setup on March 4, Friday from 12:45 pm to 4:00 pm in the MPR. Volunteer sign ups were sent out on Konstella. Help make this program enjoyable for all by signing up to volunteer. Huge thanks to Brenda Thompson for chairing this program. Family Dine Out @ Café Rio in Lake Forest – March 16 all day. Flyers to be sent home with children next week. Family Fun Night – March 18 – Dolores Wirth volunteered to Chair this event. Flyers to be sent home with children next week. 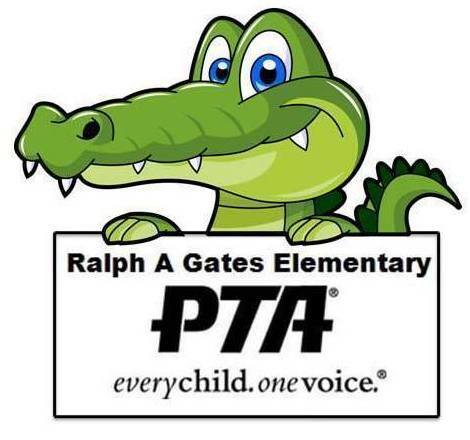 General PTA Meeting – March 22, Tuesday @ 7:00 pm in the MPR. Childcare will be provided in Kinder Room 25. Flyer for details to be sent out soon. Sign up link to be sent soon. Variety Show Auditions in MPR – April 15, Friday after school. Stay tuned for more information. Family Dine Out @ Lone Star in Lake Forest – April 13, 2016, Wednesday from 11:00 am to 9:00 pm. Flyers to be sent home on the first week of April. School Beautification – April 23rd, Saturday - Julissa Salamanca and Claudia Weaver will chair this event. Stay tuned.